For years I’ve used LastPass. I trust it, I believe it is as secure or more secure than most other options, and it helps me manage strong passwords that are unique for each login. There is a free version, but for about $40/year I’d recommend you use their PREMIUM version. 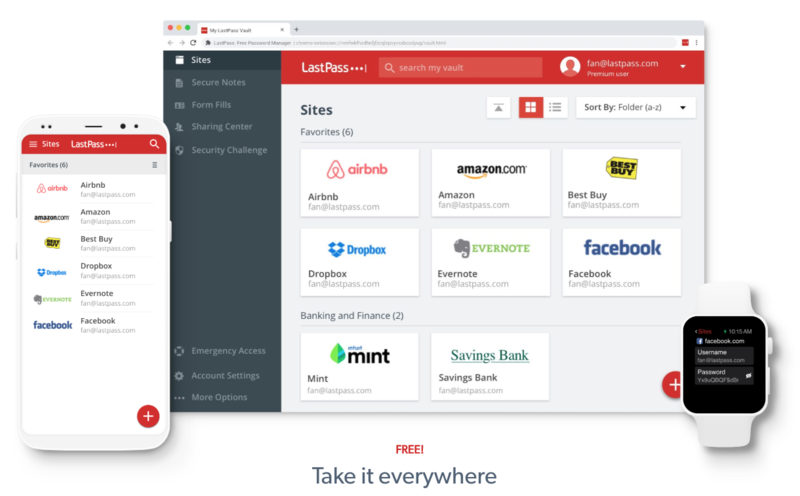 LastPass is a cross-platform app. It works and syncs across your desktop, laptop, smartphone, Apple watch, and you can log in to the web version anytime. Again, I’ve used it for years and while nothing is certain in today’s cyber-security world, I am very happy with it and trust it. You can too. LastPass Tip: Don’t forget your “master” password!